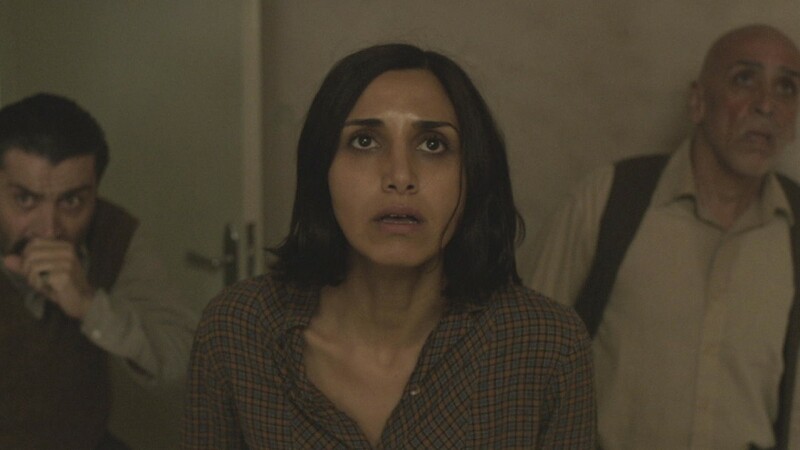 The first feature from writer-director Babak Anvari, the atmospheric Iranian horror film "Under the Shadow" is set in post-Revolution Tehran of the late 1980's, where a woman and her young daughter must contend with dark forces building both inside and outside their home. The wife of a doctor, Shideh (Narges Rashidi) finds her own career aspirations stymied when her political activism during the Revolution results in her rejection from medical school. So she remains in the home, spending her time caring for Dorsa (Avin Manshadi) and, whenever the opportunity presents itself, passing the time by breaking out her illegal Jane Fonda fitness tapes. 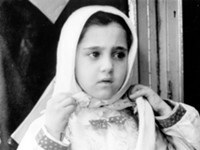 Shideh's stress only increases when her husband, Iraj (Bobby Naderi), is called to the front lines of the raging war with Iraq. As bombs continue to rain down on the city, she and Dorsa grow more and more isolated as one by one their neighbors leave the area. When a missile crashes through the roof of their apartment building without detonating, it seems as though they've avoided catastrophe, but its arrival coincides with strange occurrences: Dorsa's beloved doll goes missing and she begins to converse with invisible visitors; then those prized workout tapes somehow end up in the garbage. The landlord's wife warns of djinn, malevolent spirits drawn wherever there is "fear and anxiety," attaching themselves to a host they soon possess. Anvari wrings as much tension from the societal and political upheaval that has taken hold of the country as he does from supernatural frights: at one point when Shideh flees her apartment in fear, she's promptly arrested by morality police for not having her head properly covered. A ghost story set in an isolated domestic setting where maternal anxieties take hold, "Under the Shadow" has a bit of "The Babadook" in it. But the supernatural element works to even stronger effect here, functioning beyond metaphor to become something truly scary.